Artificial tanning has been controversial for as long as I can remember. They give excellent results, and many people have been quite satisfied with having a tan all year round. Tanning beds have been given the green light by the Food and Drug Administration, but it seems that the issue is not over. Indeed, there is new research that shows that tanning beds are not as safe as they are being purported to be. 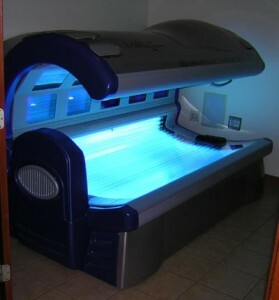 The World Health Organization recently released the findings of a study showing that indoor tanning machines can cause skin cancer just as much as the sun’s ultraviolet rays. Naturally, this piece of news has caused quite a stir in various sectors. Federal health officials are now running around like headless chickens calling for hearings and investigations. Of course, if WHO turns out to be correct, the FDA is going to be in hot water. After all, they gave the thumbs up on these machines! While I love to have a good tan and can’t get enough of the sun, I do not understand why we keep on insisting that tanning beds are as safe as can be. If we need to lather on sunblock to protect our skin when out in the (natural) sun, why can’t we think of tanning beds in the same way? Ask your dermatologist, he or she will probably tell you the same thing. No matter how you look at it, exposing your skin to things that will darken it is going to do some harm. If I were you, I’d stay away from those tanning beds.